Lynn Sargeant has been named dean of the College of Arts, Humanities, and Social Sciences at South Dakota State University. 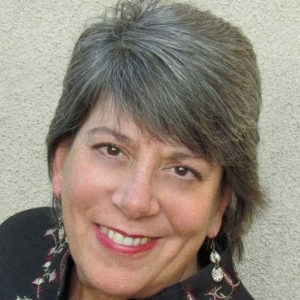 She was associate dean for student relations in the College of Humanities and Social Science at California State University, Fullerton. Dr. Sargeant holds a bachelor’s degree in music education from the University of Minnesota, a bachelor’s degree in Russian area studies from the University of Washington, and a master’s degree and Ph.D. both in history from Indiana University. Regina Carlow has been named interim dean of the College of Fine Arts at the University of New Mexico, effective January 1, 2019. She currently serves as the associate dean for student affairs in the College of Fine Arts and professor in the department of music at the university. 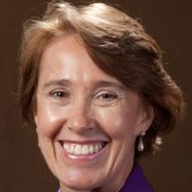 She has been a faculty member at the University of New Mexico since 2004. Dr. Carlow holds a bachelor’s degree in music education from Westminster Choir College in Princeton, New Jersey, a master of music degree from the Catholic University of America in Washington, D.C., and a Ph.D. in curriculum and instruction from the University of Maryland. Jan Hirsch has been named director and founding dean of the new School of Pharmacy & Pharmaceutical Sciences at the University of California, Irvine, effective January 2019. 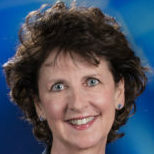 She is currently the first chair of the Division of Clinical Pharmacy in the Skaggs School of Pharmacy & Pharmaceutical Sciences at the University of California, San Diego. Dr. Hirsch holds a bachelor’s degree in pharmacy and a master’s degree and Ph.D. in pharmacy administration from the University of South Carolina College of Pharmacy. 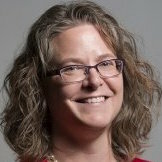 Dana Bradley has named dean of the Erickson School for Aging Services at the University of Maryland, Baltimore County. She was the director of the Center for Gerontology at Western Kentucky University. Dr. Bradley holds a bachelor’s degree in biology from the University of Rochester in New York and a master’s degree and Ph.D. in applied history and public policy from Carnegie Mellon University in Pittsburgh.